Home / All Posts / Articles / Let’s Talk College, El Paso! Previous item We Are Looking For...	Next item Give Us Your Advice Here! College: this word is certain to stir up many feelings for high school students and their parents all across America. Not only does this concept spark the imagination for students, it is also sure to initiate the conversation between parents and their students of where to go and how to start looking for the best fit. The process of finding the right college can certainly be a daunting one, however, it should be a fun journey, not one filled with anxiety and difficulty. For many of us, as we look back at our high school days, college was a decision left of up to our high school counselor, a person deemed as an expert in the field. But as times have changed, the responsibility of finding the right college has shifted to the student. With over 4,000 college in the US alone, selecting the right school can be exhausting. With the aim of reducing this anxiety for both parents and students in the Borderland, a new program has recently been established. With this in mind, we introduce to you Undergrads College Consulting & Tour, LLC. 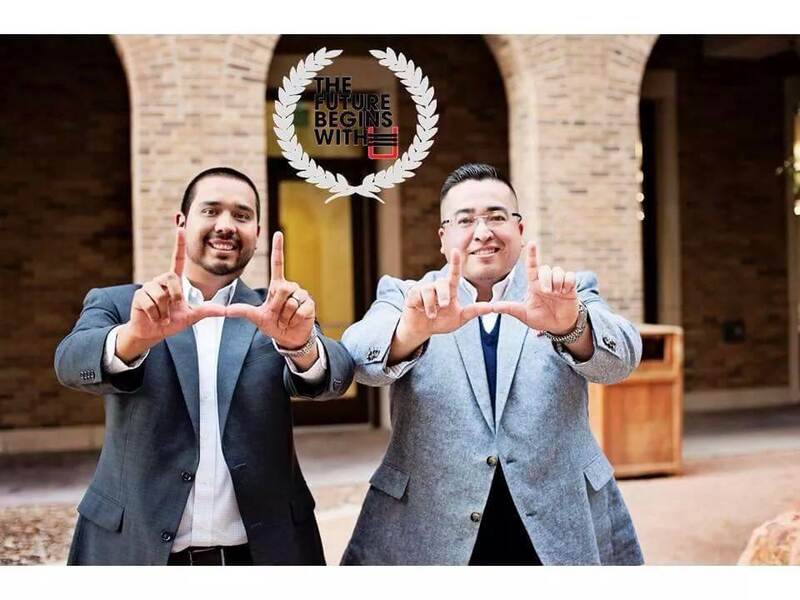 A local company created by El Pasoans Luis Martinez and Daniel Valdez with one sole purpose: to empower today’s youth in the pursuit of their post secondary educational goals, while encouraging them to expand their educational horizons. Together, the co-founders of Undergrads have over 12 years of experience as college readiness advisors. It is our goal to provide area students with the opportunity to visit top tier universities in the East Coast, as well as within the State of Texas. We plan to establish Undergrads as the foremost leader in providing students with educational opportunities in the greater southwest. With our first Undergrads Ivy League Summer College Tour cohort officially established, we are proud to announce that selected students will have the opportunity to tour the following institutions: Harvard, Brown, MIT, Colby, Dartmouth, Columbia, Yale, Georgetown, Bowdoin, Wellesley, Johns Hopkins, Princeton, University of Pennsylvania, New York University, Wesleyan, and Bates. The tour will take place during the summer of 2015. As part of the Texas College Tour students will have the opportunity to visit both public and private universities in the state. During this tentative 5 day summer tour, students will have the opportunity to visit the following institution Texas Christian University, Southern Methodist University, UT Dallas, Baylor, UT Austin, St. Edwards, Texas State University, Trinity, UT San Antonio, Our Lady of the Lake, St. Mary’s, UT Arlington, University of Dallas, & University of Incarnate Word. The Texas tour will be initiated in the summer of 2016. In addition to touring these prestigious institutions, students will partake in a series of monthly Saturday sessions, held at the El Paso Leadership Academy or at specific locations within our great city. These sessions will provide students with the necessary tools and guidance to prepare them to navigate through the college process, network, and make an informed decision regarding their future. Students will also take part in numerous leadership and team building exercises, designed to turn these incredibly bright young men and women into confident and well spoken young adults. In addition, we plan to connect students with area alumni by inviting them to speak at these sessions and share their experiences and wisdom with our students. In the end, it is our goal that by enrolling in our program, the college search process can become an enjoyable and fun experiences for both parents and students. Our expertise and our network will surely help ease the process. We firmly believe that El Paso is full of extremely bright and talented young men and women, it is our goal to help them reach their academic potential! The Future Begins With U!